Tidy Up is a full-featured duplicate finder and disk-tidiness utility. Supports Lightroom: it is now possible to search and collect duplicates directly in the Lightroom library. Added the support to hard links: search for hard links or exclude them from the search and replace the found items with hard links. Search for unique items gains strength: it’s now possible to use multiple criteria to search for unique items (items that have no duplicates). Possibility to handle the found items at the administrator level: just allow the installation of the privileged tool and do the cleaning job. This is particularly useful to clean up old Time Machine backups. Tidy Up 5 organizes the result separating the found items by file kinds, (music, images, PDFs, folders, etc.). It’s completely customizable and allows you to add more file kinds at your choice. The new organization is based on the tab separation and each tab has its settings, such as smart boxes, separation by searched sources, view by grid or list, etc. Next story Intensify 1.2.3 – Reveal the hidden beauty of your photos. Previous story Tonality 1.4.2 – Create mind blowing black and white photos. 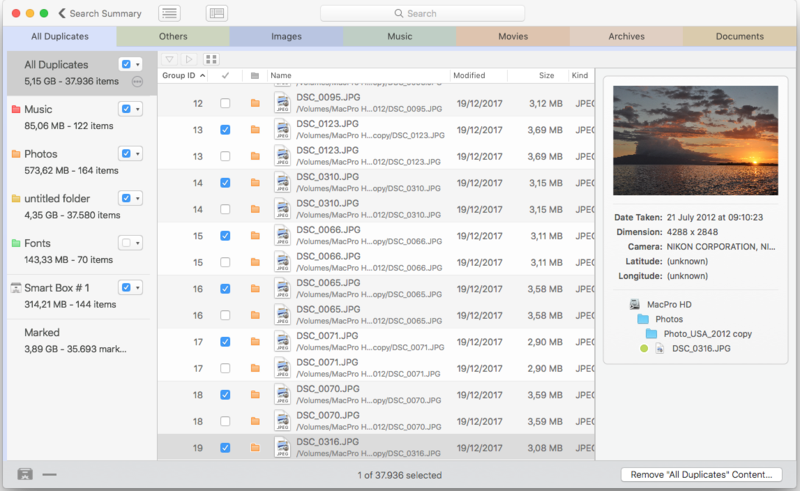 Path Finder 7.1.5 – Powerful, award-winning Finder alternative. iExplorer 3.2.0.6 – View the files on your iPhone (was iPhone Explorer).